Pray. Pray for evacuees. Pray for first responders. Pray for leaders. Pray for the least of these. Pray that thousands will find Jesus in the midst of this storm. Give. Shandon can receive designated offering that goes directly to disaster relief. 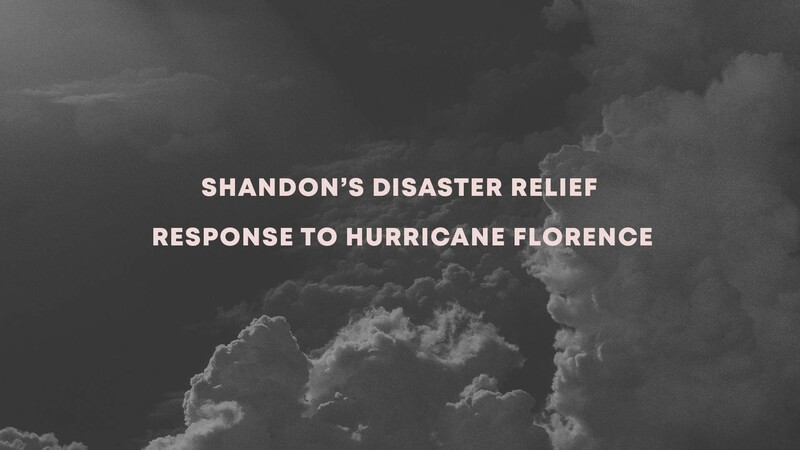 We use that money for Shandon’s direct engagement in disaster relief and to support gospel-centered relief organinzations, like the North American Mission Board and Samaritan’s Purse. Go. Although we can’t go just yet, let’s be prepared. We will be sending out two types of disaster relief volunteer teams in the coming weeks, trained and untrained. Read more to find out how you can join. Trained teams: Shandon currently has about 60 trained chainsaw volunteers, two chaplains, and three team leaders. These teams have certification and ID to respond in the first wave of volunteer response and are currently “at-bat.” If you are not already on this team but would like to be, maybe now is the best time for you to sign up for training that will happen later this fall. We are seeking to grow these teams. If you would like to become trained for chainsaw, chaplain, or rebuild teams, you can sign up here. Untrained teams: We are currently building our database of those who would like to be in-the-know about any and all of our upcoming trips for untrained disaster relief teams. We won’t know exactly what those trips look like until the hurricane clears, first responders respond, and partner organizations make the call for churches to step up. When that call is made by NAMB or Samaritan’s Purse, let’s be ready! If you want to know about upcoming weekend or one-week trips for this fall, please sign up here.